Be reasonable, you’re not likely to get everything on your wish list, especially when you’re looking for a starter home. Try to narrow your list down to some key “must haves” and be prepared to compromise on some others. You’re much more likely to find a property successfully that way. You’ll have a much easier time when you visit a bank or mortgage broker if you get your finances in order ahead of time. It will also make the adjustment to mortgage payments and unforeseen home ownership expenses (maybe your washer and dryer will die within days of each other, maybe you’ll have a plumbing issue or spring a leak in the roof during a heavy summer storm…those responsibilities are all yours now that you own the house!) much easier to manage. Whether you’re dealing with finances, finding the right home to bid on, wondering how much insurance is really necessary or trying to line up a lawyer to handle your affairs, you want the best advice you can find. Find some experts you trust and feel comfortable with and rely on them to help you make sense of things. You may like the idea of being in the midst of things in an urban area but that has to be weighed against the reality that you’ll get more “bang for your buck” outside of prime areas. Sometimes the trade off of getting a larger property in a less than trendy area is well worth it…especially if you don’t plan to stay put forever. By the same token, it may not be realistic to think you can find the perfect little starter home on 50 acres in the countryside. Most of us have to work our way up to that ideal property, not start out there. A well presented home will show you the house in the best possible light. Everything will look fantastic and it will be easy to see yourself lounging on that cushy couch watching that big flat screen tv and entertaining friends. Just remember that the couch and tv won’t be there when you move in. Think about what the place would look like when full of your stuff. Is it still fantastic? I always recommend buyers get a home inspection so that they can be as informed as possible about the property they’re about to own. 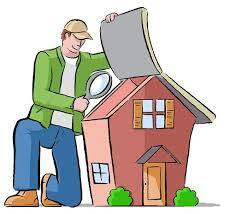 There is a real benefit to knowing exactly where you stand, what repairs are looming and what they may cost. It’s always best to avoid a nasty surprise. 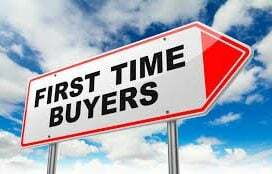 It always surprises me how many first time buyers haven’t taken into account the fees and costs they may have on top of their deposit and down payment. 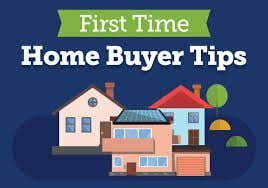 Find out as much as you can about the extras (things like land transfer tax, lawyer’s fees, home inspection costs, appraisal fees, insurance, possible utility fees, etc) ahead of time so that you’re not scrambling to come up with the necessary cash at the last minute.